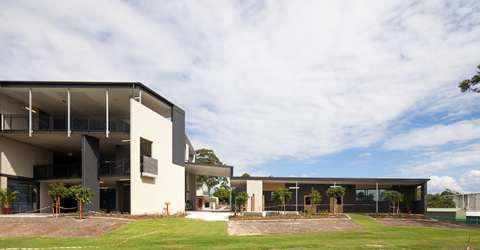 The project comprised construction of a two stage project consisting of a new three storey Year 7 Building and a new single storey Manual Arts/ Workshop. 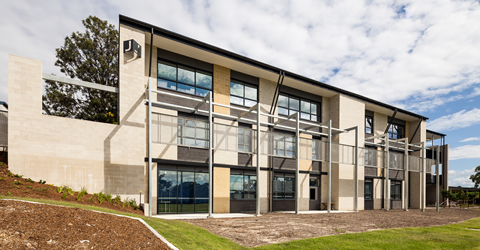 The new Year 7 Building comprises 18 modern general learning classrooms, two science labs and two prep rooms complete with projectors and screens with LAN and WiFi connectivity. 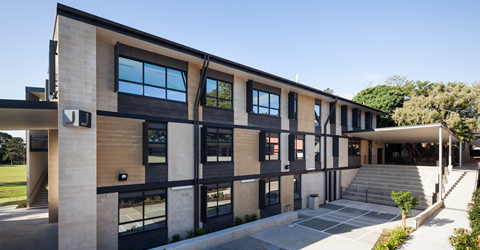 The new Year 7 Building is connected to an existing school building via a link bridge located on the first floor. The height of the three level building promotes passive cooling through cooling breezes and natural ventilation eliminating the need for mechanical air-conditioning. The building was designed to comprise two wings, a northern wing with large windows and protective screens and a southern wing with large windows. The large windows combined with in-between large atrium further promote natural ventilation and cooling, as natural breezes flow into all of the classrooms. 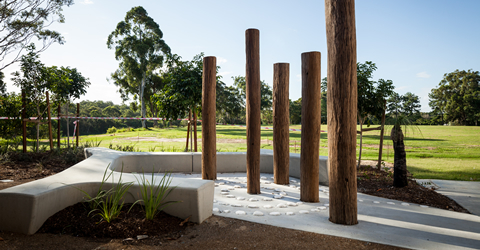 Exterior works include a Japanese Garden outside the Language room and a Rainforest Garden in the transition area between the Year 7 Building and the single storey Manual Arts Building. Between the new Year 7 Building and the existing school there is a 5m high covered tiered seating aimed for outdoor learning and recreation. 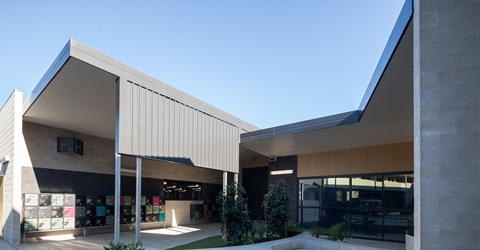 The spaces between buildings are effective learning areas and are high impact for minimal cost. By providing a variety of these spaces that connect through the school a layered series learning and relaxation spaces develop. The single storey structure is a new Manual Arts Building incorporating a large workshop with three metal lathes, two wood lathes, five welding bays and various other metal and wood working equipment. There is also a dedicated workshop for CNC and 3D Printing machines. 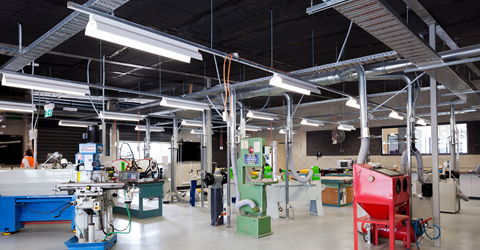 Attached to the CNC workshop, there is a dedicated CAD classroom with seating and computer facilities for over 30 design students. A new staff office is also part of the second stage.